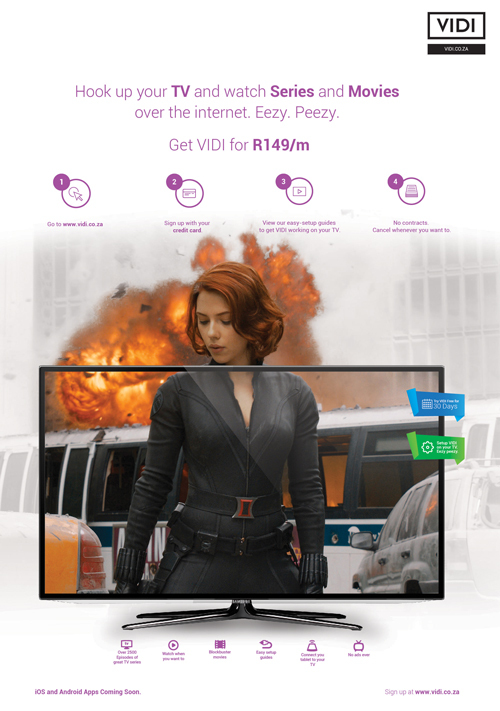 Read on to see how Amorphous rolled up its sleeves and got involved in the successful launch and running of VIDI – South Africa’s first internet streaming video service. It boasted a mega library of new and classic films and enough complete seasons of series to satisfy even the most dedicated binge-watcher. 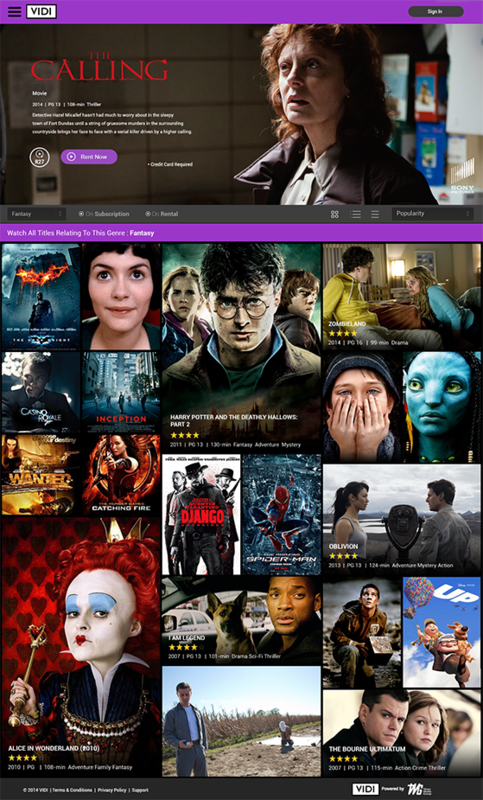 VIDI also had its own app which promoted seamless viewing and allowed for streaming on multiple devices, meaning you could watch VIDI whenever you wanted, wherever you were. Amorphous was up close and personally involved in all the stages of VIDI’s development. From dreaming up the name VIDI (meaning ‘I saw’ in Latin), to playing a pivotal role in launching VIDI into the market, and providing business support at all points along the way. To make sure VIDI created a splash at launch, we focused all our user experience knowledge and design brilliance on the VIDI app and website. Once these were up to scratch for public consumption, we tied it all together, creating mass public awareness, with omni-channel advertising, spanning print, radio and digital platforms. The challenges came thick and fast on this job, but that only made for a more interesting ride. On the business side, once the concept of VIDI was settled on, the issue of securing stellar content to entice and enthuse viewers immediately popped up. 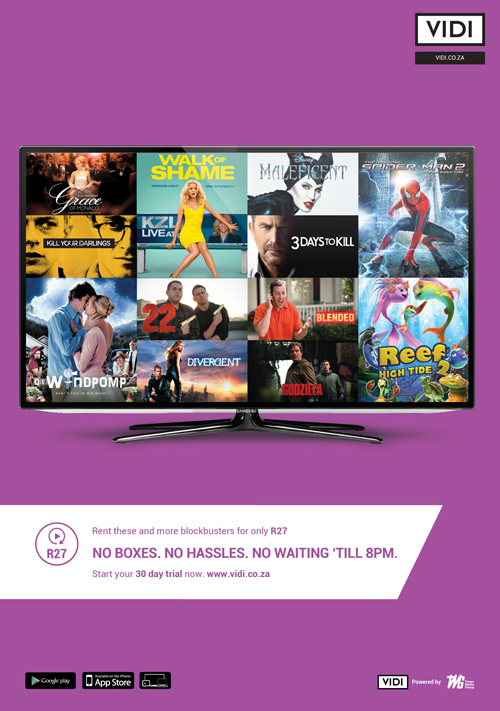 Apart from content challenges, we also had to work out a watertight strategy that would make us the obvious choice over brawny direct competitors such as DStv. Also thinking ahead, we knew we’d have to put serious time, effort and skills into building a bug-free, efficient and fabulous looking app and website that created an unrivalled user experience, challenging the continent’s largest broadcaster. Also thinking ahead, we knew we’d have to put serious time, effort and skills into building a bug-free, efficient and fabulous looking app and website that put a premium on creating an unrivalled user experience, challenging the continent’s largest broadcaster. Positioning was highly important too as we had to be believable as the authoritative platform on which to watch series and movies. 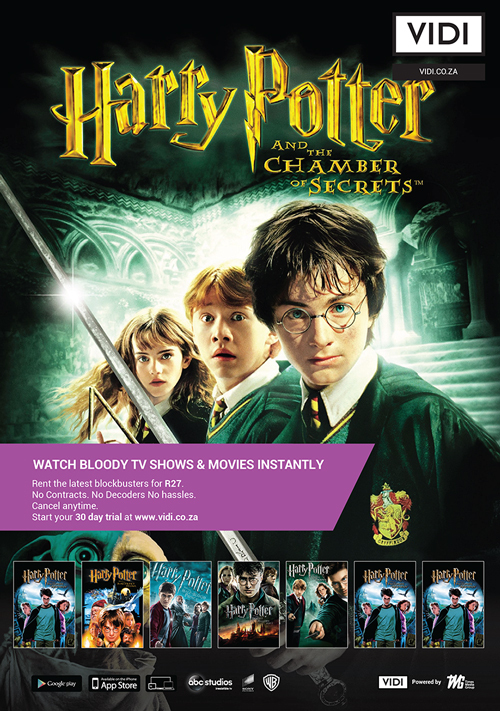 The trick was to develop a corporate identity that was brave enough to remember and to make the public aware that all the series and movies that they’d ever dreamed of watching were available, instantly, on one platform. Make user experience top of mind, all of the time. To secure stellar content, Amorphous hopped to it and got into serious business dealings with major studios, cutting some pretty sweet deals in the process. With that sorted, we moved on to the fun stuff. 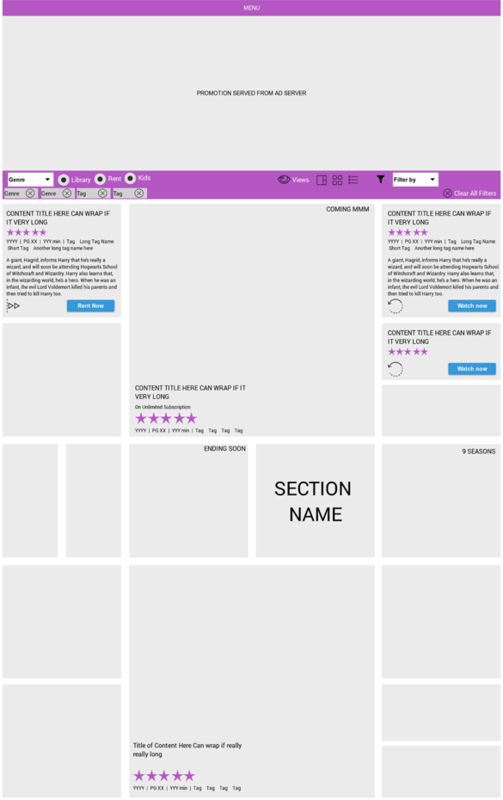 The VIDI app and website were born after filtering every single design decision through the lens of creating a seamless, engaging and all-round great user experience. We refused to take short cuts because, after all, these platforms are the core of VIDI’s identity. To address our positioning challenge we channelled our collective brain power into mounting a first and foremost communication approach to situate VIDI as the platform for premium content viewing. 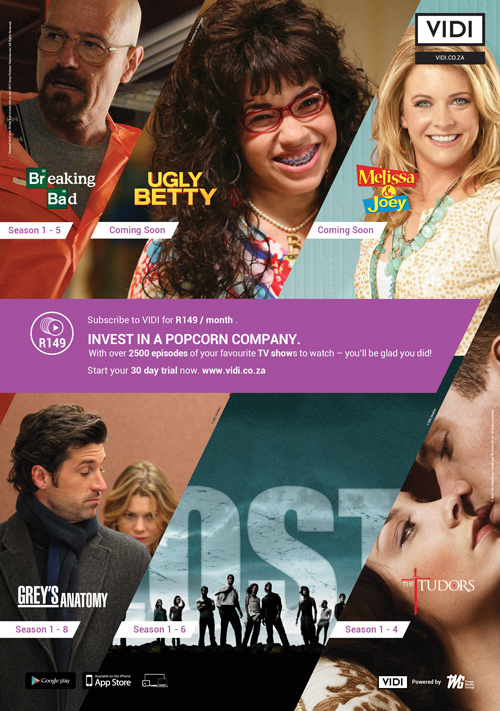 Using simple messages in print, radio and online placements we established VIDI as the crackerjack of all streaming video services. Leveraging considered user experience, beautiful (and functional) design and setting up omni-channel marketing campaigns, Amorphous grew VIDI from a bright idea into the video on demand trailblazer it became.